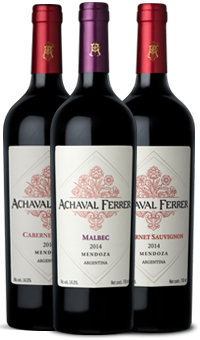 Achaval-Ferrer`s original concept was strongly founded on the terroir, and the chosen way to make it well known was through Malbec. The trilogy that happens to be the wine cellar´s cornerstone is formed by 3 artists that altogether give balance to the complex message that it wishes to convey. Over the years, the wine cellar has developed different products that are the result of experience and hard work in the vineyards. The development of special single-variety wines, red wine made from raisins, olive oil, and special blends, among others. Line of origin and belonging. Its three representatives express without a doubt the lands of these three places in Mendoza. Its framework is that of excellence, from its production philosophy that is geared toward respecting at all costs the place of origin and minimizing interruptions and the low yields that allow for the concentration of the message. We came up with a unique practice at Achaval Ferrer that we have named warm-blend. Instead of cutting its parts when they are ready, Santiago Achával and Roberto Cipresso go through the vineyards and taste the grapes hours before they are harvested and this is how Quimera is created. They decide year after year just how much variety there will be all while on a never ending quest to find the ideal wine. 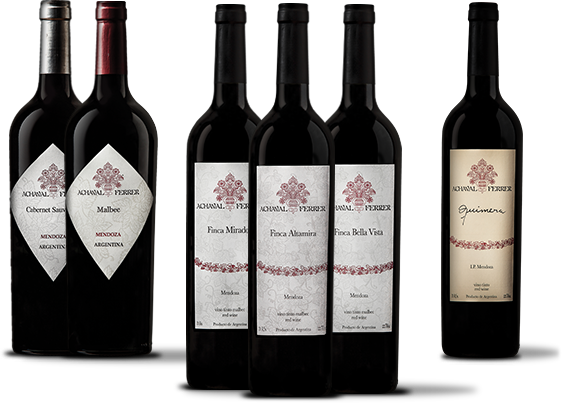 Made up of their two best performers (Malbec and Cabernet Sauvignon), this line focuses on the attempt by Achaval-Ferrer to express, above all variety authenticity. 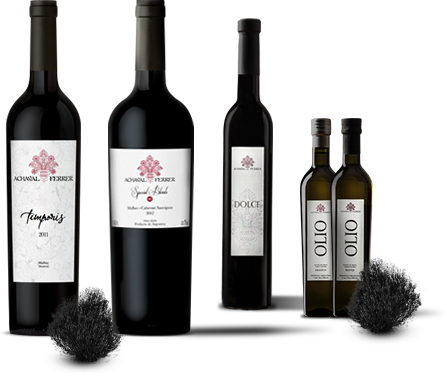 These wines are single-variety blends from different regions, combining the essence of Luján de Cuyo, Medrano and Valle de Uco, among others. A lively acidity, a lot of fruit and fine tannins make so that these wines are examples of what immediate pleasure can be like. The Terroir line is crowned only after selecting from two barrels from each of the three vineyards in order to create the blend. Get to know the concept and how Temporis came to exist. A unique expression of Malbec. Sweet wine made from raisins: 10kgs make 1liter of this wine. Concentration, aroma, texture. Get to know the features of this unique wine. Our olive trees situated within the Bella Vista Vineyard show us with each harvest the beauty of its natural settings. 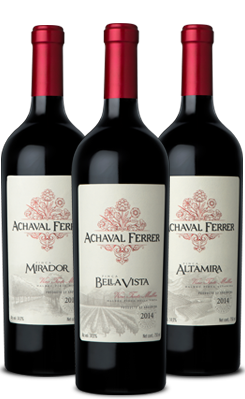 Tucked into the bottom of the vineyard in accordance to Tuscan tradition, this minimal production offers us another of Achaval-Ferrer´s expressions of the pleasure of the senses. Get to know its 2 varieties.